I know Michael Ian Black best from his time as a cultural commentator on the long running ‘I love the —‘series on VH1; his dry, crass observations held up a brief relatable mirror into the ridiculousness of fads and trends. 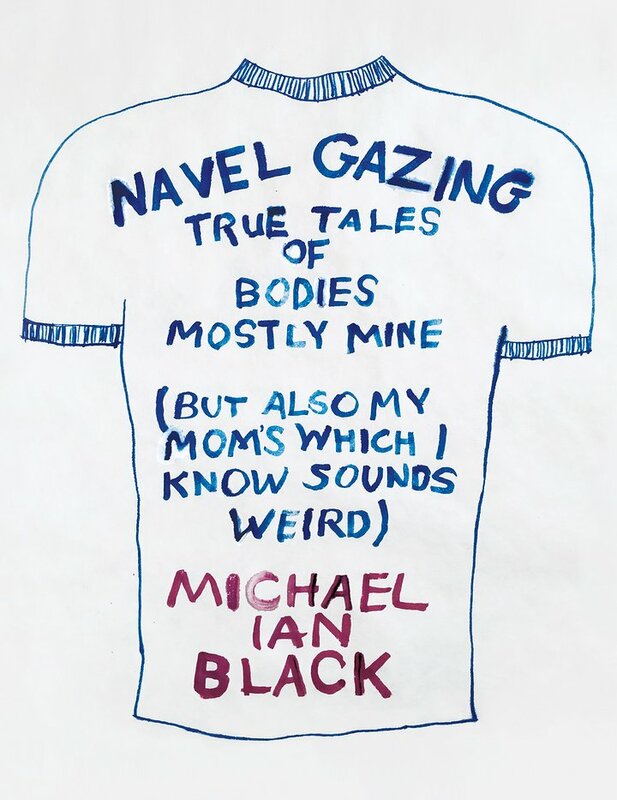 Black has never seen a string of commercial exposure, though, with understated comic credentials, a resume packed for the 90’s, two children’s books, and now his second adult book, “Navel Gazing: True Tales of Bodies, Mostly Mine (But Also My Mom’s, Which I Know Sounds Weird), you have to look (or read) a little bit to figure out why he’s still around. In this book of observations Black incorporates his ailing mother. She has cancer in a series of detrimental ways that ultimately leaves her vulnerable and thus Black is set adrift to wonder what tethers him to the ground. He reflects on family, their inclusion and then sudden departure and he looks at strengthening himself in the face of what seems to him a biological doom. He orders DNA testing, joins gyms, joins more gyms, and, well, finally settles on running outside of the gym. It’s part of the human condition: worrying. The impending gloom of sickness and death can worsen our anxiety or we can settle on a system of jovial self-care that relies on our wits and humors. Both recognizing our incredible talent for doing nothing balanced with a need to exercise self-control and discipline in order that we might be personally accountable good little humans. Black is best in this novella when he straddles that line. This is a quick afternoon read scattered with Black’s talent for witty observation. Black is spot on at times in his synapses of the human condition, and others he’s more of the twerpy cousin you’d rather ignore. Either way, if he ever showed up in town and wanted to go for a beer at the local pub I’d bet it be a fun afternoon.